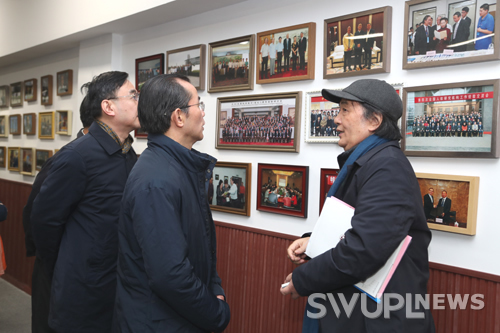 On the morning of February 25th, accompanied by Head of Foreign Affairs Office of Chongqing Municipal People's Government, Chinese Ambassador to Sweden and Director of research mission of Foreign Ministry diplomatic envoy, Gui Congyou, together with his delegation of 30 members, visited SWUPL. A symposium was held in the academic hall on the first floor of Yu Cai Building. 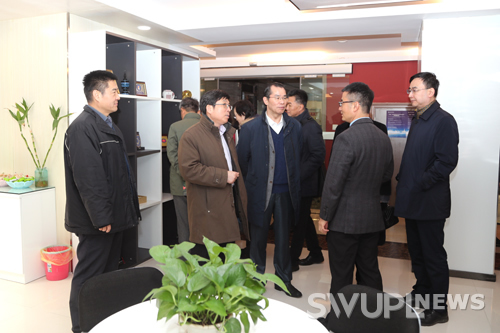 Vice President of SWUPL Yue Caishen and directors of other related departments attended the symposium. Ambassador Gui Congyou said that SWUPL had made full use of the advantages of its disciplines and talents for long, which made great contribution to the development of socialist democracy and the rule of law in China. 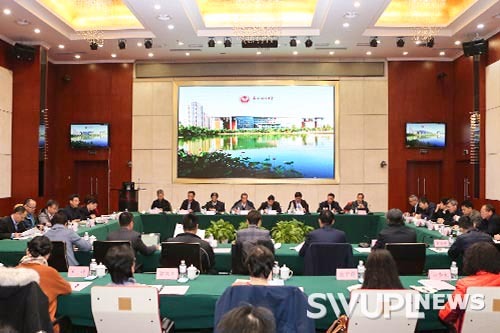 Meanwhile, SWUPL established interscholastic cooperation with universities from 20 countries and regions, boosting Sino-foreign exchanges of the science of law. He hoped that through this research and discussion, they could enhance the cooperation and exchange between SWUPL, and provide better materials for the good story of China. At the meeting, Yue Caishen welcomed Ambassador Gui Congyou and his delegation on behalf of SWUPL and briefed them on SWUPL's development in recent years. He then expressed his gratitude to Ministry of Foreign Affairs for the care and support in SWUPL's running school. He hoped that both sides could take the meeting as an opportunity to strengthen discipline constructions and promotes the "Double Tops" construction of SWUPL. Guo Meisong, Head of International Cooperation and Exchange Office, introduced the general information of international cooperation and exchange of SWUPL. Zhang Xiaojun, Dean of School of International Law, gave an introduction to the work of China–ASEAN Legal Research Center. Zhang Yonghe, Dean of Institute for Human Rights, briefed the work of the institute. Ambassador to Namibia Zhang Yiming, Counselor at the Chinese Embassy in Indonesia Pan Yonglu, Counselor at the Chinese Embassy in Britain Shao Zheng separately introduced the situation of China's international cooperation and exchange with the related countries. 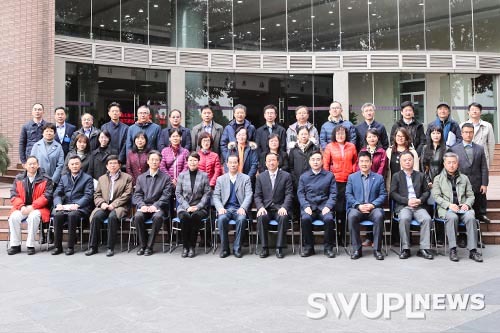 They also shared opinions on cultivating high-level legal talents and expanding overseas cooperation and exchange, and gave valuable suggestions for SWUPL's future development. After the meeting, Ambassador Gui with his delegation came to Institute for Human Rights and China–ASEAN Legal Research Center for field research.